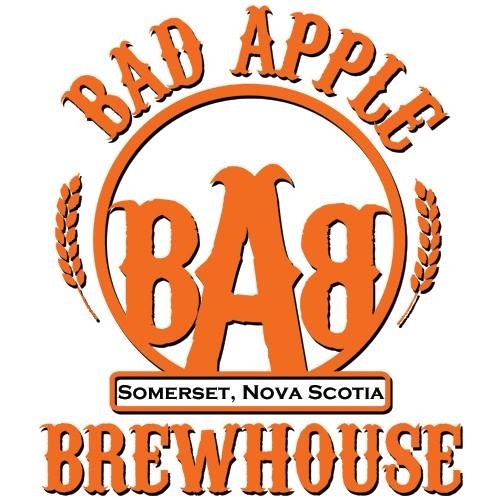 Bad Apple Brewhouse in Somerset, NS is the newest brewery to open in the Atlantic Region. We spoke with owner and brewer Jeff Saunders about his new adventure. Jeff: The Bad Apple Brewhouse has been in the making for the last few years. There has been lots of construction and modifications to equipment to make beer on this scale. Our system is a total one-off custom built brewhouse, built on-site by myself. It consists of a 4HL perforated false bottom mashtun with a 5.5HL electric kettle. Fermentation side is also a mashup of tanks ranging in size from 3HL to 10HL. Some are borrowed (thanks to Hell Bay Brewing), while some are custom modified tanks of unknown origin. What beer styles will you be brewing initially? Beers being brewed initially are an American Pale Ale (5.7%) and a Russian Imperial Stout (9%) with some of the Stout being aged in used whiskey barrels. There are some other brews in the works for the future. Distribution plans are limited by our capacity. We will be on tap at a few locations within the Valley as well as selling on location in rural Somerset December 31st. Plans are to bring limited amounts to the city to sell at Premier Wine and Spirits in early January. Please tell me about your experience with other brewers and breweries in our region? My experience from the craft beer and homebrew scene has been truly a positive. I have been helped out with items and knowledge from Sea Level Brewing and Hell Bay brewing. Also gathering information from Uncle Leo’s and Big Spruce has been appreciated. I’ve learned a great deal of beer knowledge under the tutelage of Greg Nash. His level of knowledge and adherence to quality and sanitation levels are well above average. What are your plans for BAB in the future? The Bad Apple Brewhouse is small in nature which allows us to brew some less conventional beers for the local market. We plan on presenting the public with a few versions of Barrel Aged beers, tapping into a segment of the local craft beer market that is currently not being filled. Thank you to Jeff for taking time out of his busy schedule to give us an insight into the brewery! He brewed up a double batch (1,000L) of his American Pale Ale on the weekend, which will be available in growlers at the brewery and on tap in the Valley December 31st, with his Russian Imperial Stouts soon thereafter. Check out the BAB Facebook page to keep up-to-date on the release date and locations.